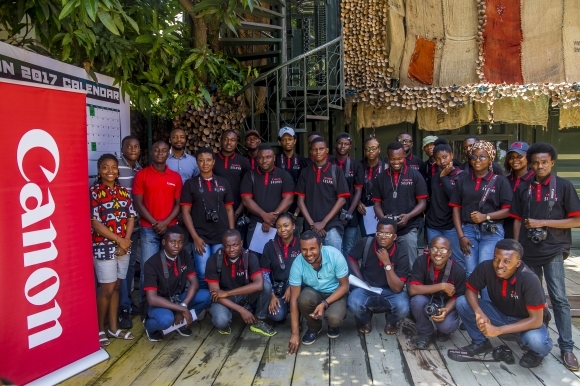 LagosPhoto Festival in partnership with Canon Central and North Africa, tapped into that by hosting a workshop in Lagos, run by Kenyan based photographer and film maker, John Nwabugu. The workshop was aimed at taking aspiring photographers into the streets of Lagos to interact with the city from behind their lenses. Nwagbu taught with much zeal and and after the workshop, participants were released to practice what they have been taught across the streets of Lagos. Canon provided cameras for the participants and after a long day of shooting, they submitted images to be reviewed by a selected panel of professional photographers. The winner of the award for best image taken during the workshop was awarded a Canon compact camera and a Selphy printer. Street photography remains one of the most accessible and vibrant sectors in the global photography industry, the testing ground upon which many budding photographers learn the basics of camera operation.